Take Interstate 93 South through Boston to Exit 15 (Columbia Road/JFK Library). Take a left at the end of the ramp onto Columbia Road, and then take your first right in the rotary. Follow the University of Massachusetts signs along Columbia Road and Morrissey Boulevard to the campus. Take the Massachusetts Turnpike (Interstate 90) east to Interstate 93. Take I-93 South one mile to Exit 15 (JFK Library/South Boston/Dorchester). Take a left at the end of the ramp onto Columbia Road, and then take your first right in the rotary. 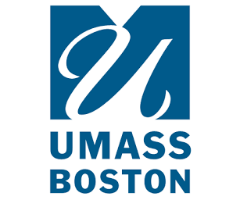 Follow the University of Massachusetts signs along Columbia Road and Morrissey Boulevard to the campus. $6 per single use. For details, see Parking Costs. Please contact the Office of Transportation Services (Second Floor, Quinn Administration Building) for information about multipark, monthly, and semester passes at 617.287.5041. You can also get more information from Transportation Services at 617.287.5041. Take the commuter rail to the JFK/UMass station from the South Shore on the Middleboro, Plymouth and Greenbush lines. A free shuttle bus will carry you to the campus.